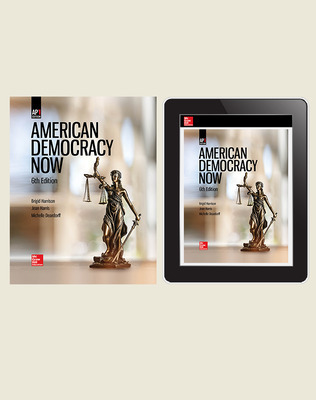 The 6th Edition of American Democracy Now has been thoroughly updated to fully align with the Advanced Placement® U.S. Government and Politics Curriculum Framework. The program engages students with current and compelling content and increases their sense of political efficacy by exciting them about the political conversations of the day. Integrated critical thinking activities help students to connect the past, present, and future of politics. 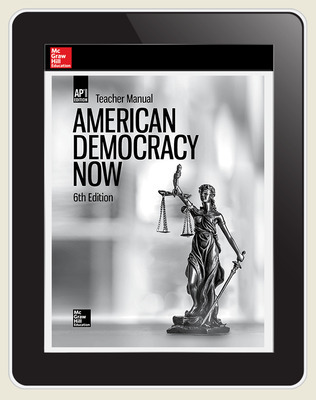 At the heart of American Democracy Now is a rich set of pedagogical tools that develop the enduring understandings, align with the learning objectives, and offer comprehensive coverage of the essential knowledge statements to support success on the redesigned AP United States Government and Politics exam. 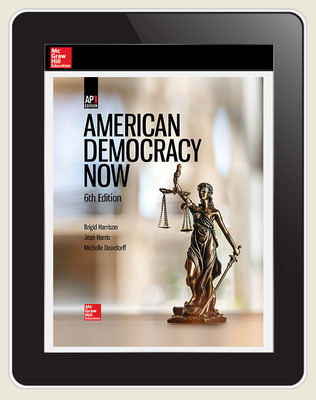 Visually appealing, relevant, and written in an accessible voice, the program helps students attain a solid understanding of the key elements, institutions, and dynamics of government while increasing their sense of what constitutes political efficacy. 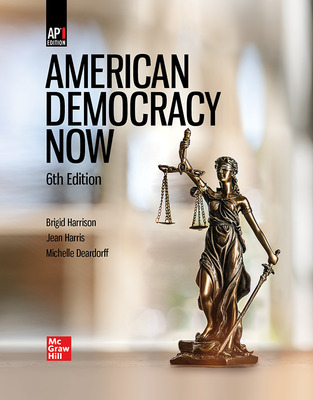 Students are led to read, think, and write critically to make connections between the policies and politics of the past, the present, and the future.